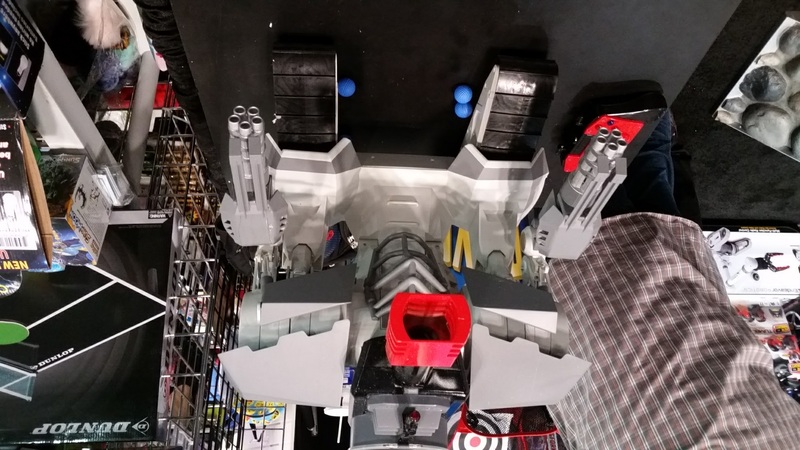 While there were plenty of hits at this year’s Toy Fair, there were a few misses, as well as a few “WHAT WERE THEY THINKING?? ?” moments. The following is a collection of just a few of those things. 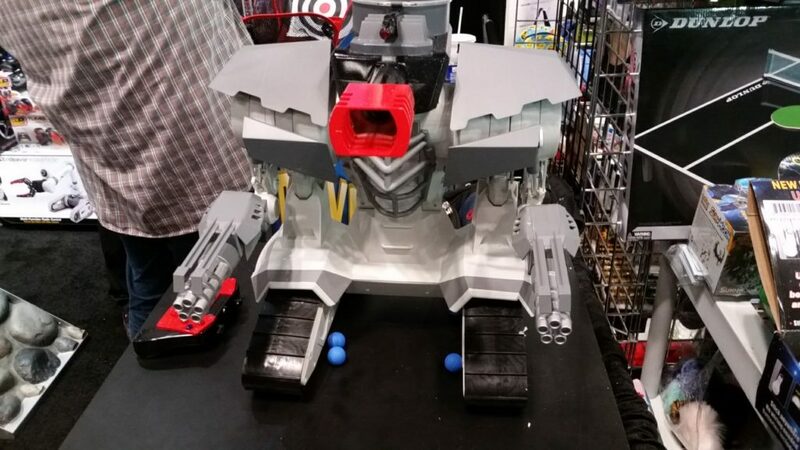 In the R/C – dominated section of the Toy Fair was a prototype that looked out of place. 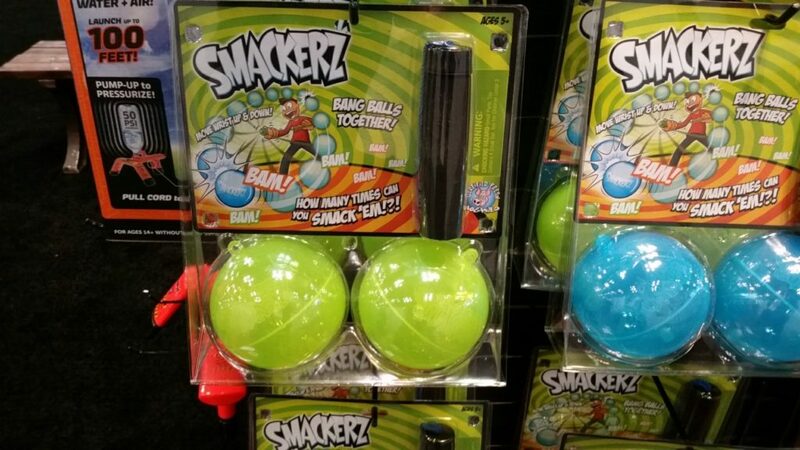 Yep, those are offbrand Nerf Rival balls. Yes, it’s on treads. And yes, it shoots those balls out of the barrel. 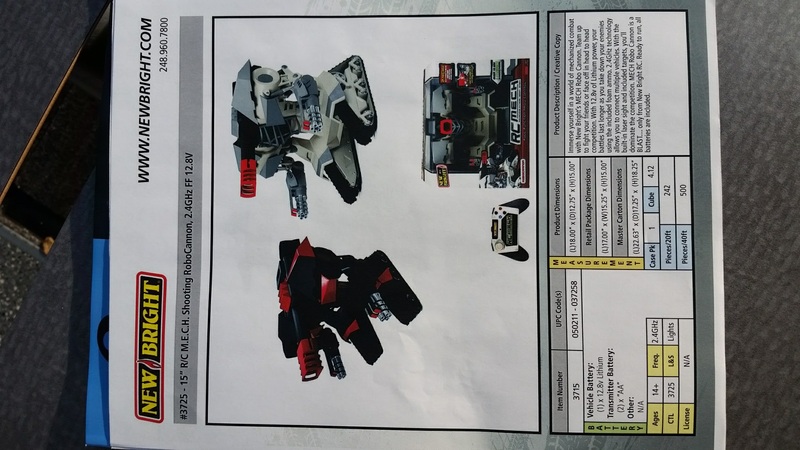 New Bright R/C, which has had its share of hits and misses over the years, is aiming quite literally for an R/C blaster toy. 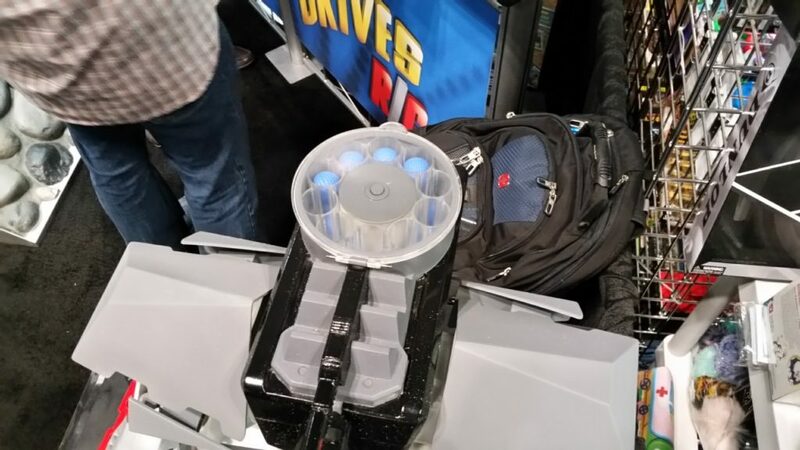 The projected specifications are 100fps, ranges of over 100′, and $160 to $170. Compared to the Nerf Terrascout at $250, that’s a steal if the quality holds up. As seen here, the rate of fire is fairly slow, with perhaps one ball launching per second (operator’s opinion). However, it hits as hard as most primary-sized Rival blasters. In addition, the robot had a twenty ball capacity in a revolving hopper – the final capacity has yet to be determined. For the price, I’m interested in grabbing one just to see what I can do with it. If the hopper design remains as-is, vertical expansion can account for extra capacity. The motors on the flywheels can conceivably be replaced. In the end, however, it’s a matter of what-ifs, questions, and waiting on actual finalized units to be released. 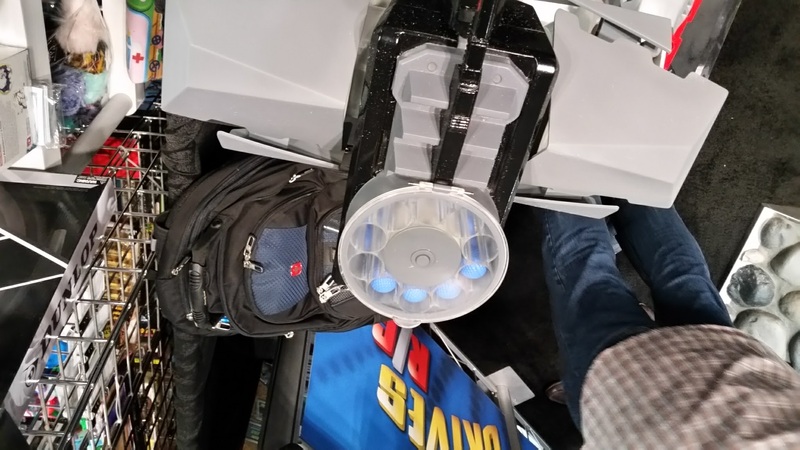 Nevertheless, it’s nice to see an R/C launcher that uses Rival-type ammo, even if it isn’t from Hasbro. That’s correct. 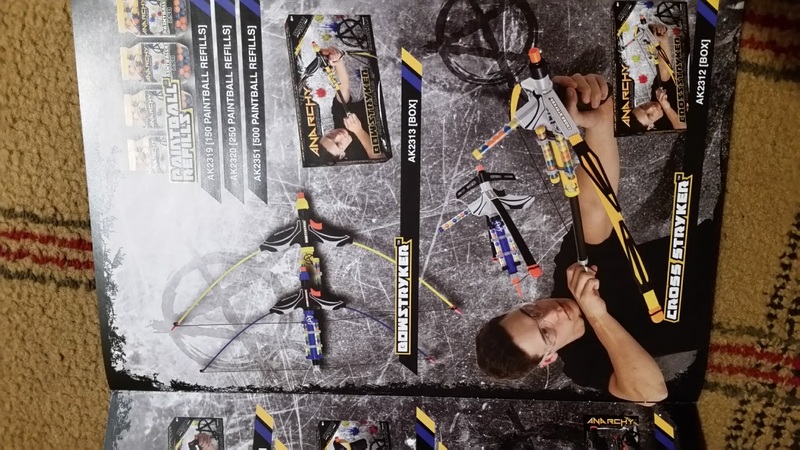 Officially licensed Boy Scouts of America blasters exist. They boast MEGA POWER. 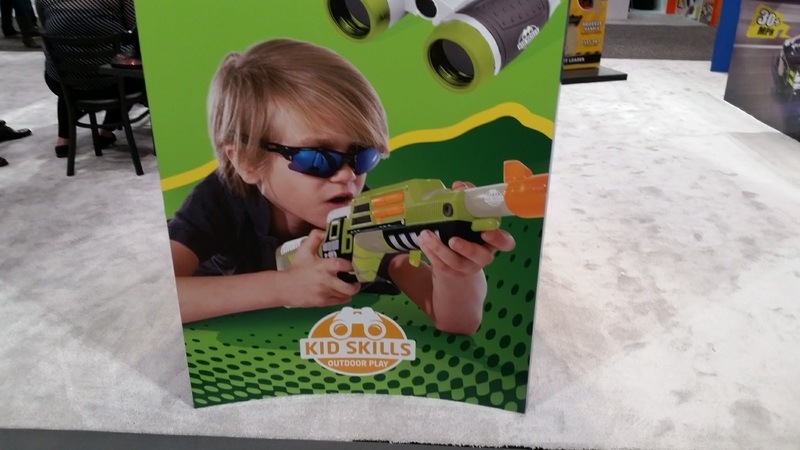 Best of all, they feature REALLY COOL KIDS IN SUNGLASSES ACTING LIKE SECRET AGENTS. On a more serious note, the designs are based off of cheap Chinese designs; I’ve seen them many times online while searching Taobao or Alibaba. 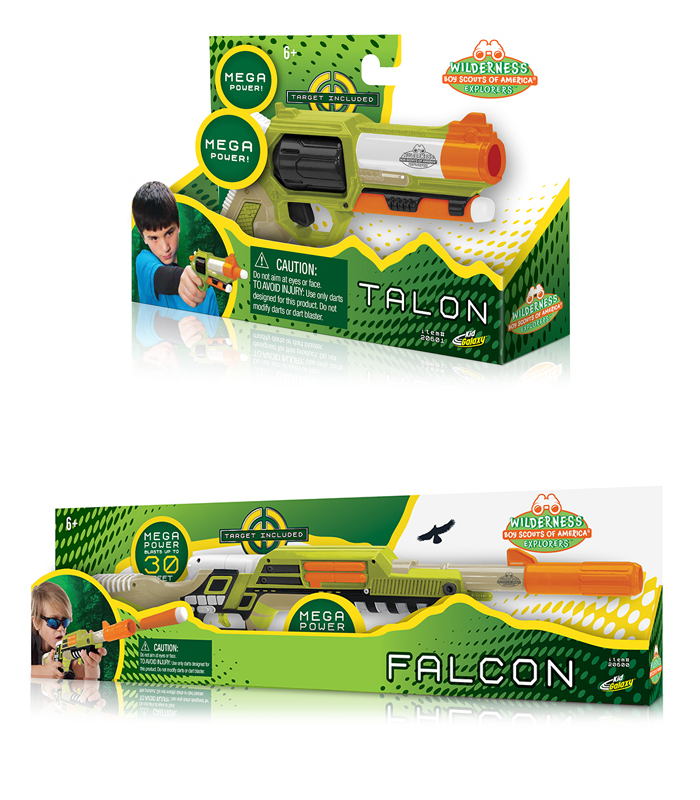 The blaster imitating a Buzz Bee Hunter is the Falcon, while the single shot pistol is named the Talon. I find it somewhat entertaining that these blasters boast “MEGA POWER”. The Falcon has 30′ ranges. The Talon doesn’t even attempt to boast ranges. 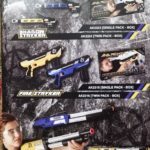 While Kid Galaxy, the company behind these items, gets kudos for creative branding, they don’t get credit for good blasters. Then again, kids 6+ don’t necessarily need high-powered blasters. Parents, just use your best judgement. Also, don’t bring these to a war unless you want to lose. Toy Fair dedicated an entire section to Chinese toy suppliers. This makes sense; not all toy companies have their own factories to produce products. Some retailers just want to choose existing toys to fill the discount toy shelves. 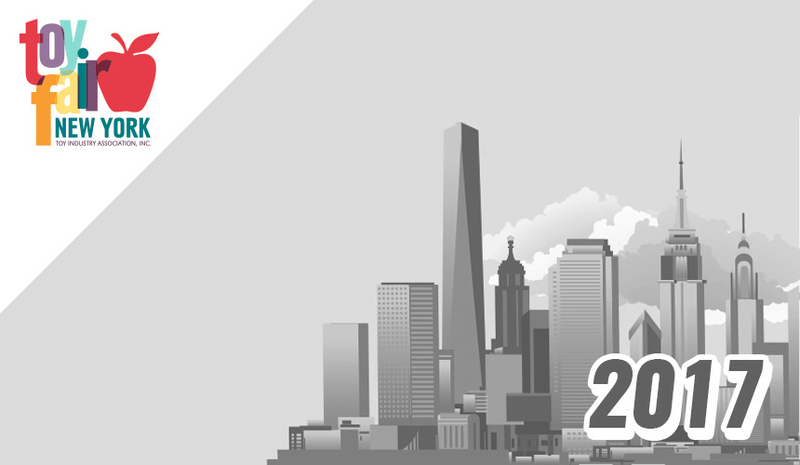 A place like Toy Fair is an opportunity to make the necessary business connections. I made a pass through the area to see if anything caught my eye. 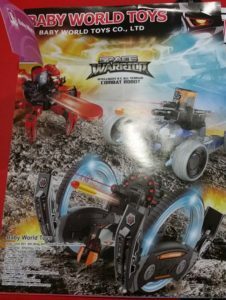 Perhaps a Zecong Toys clone? 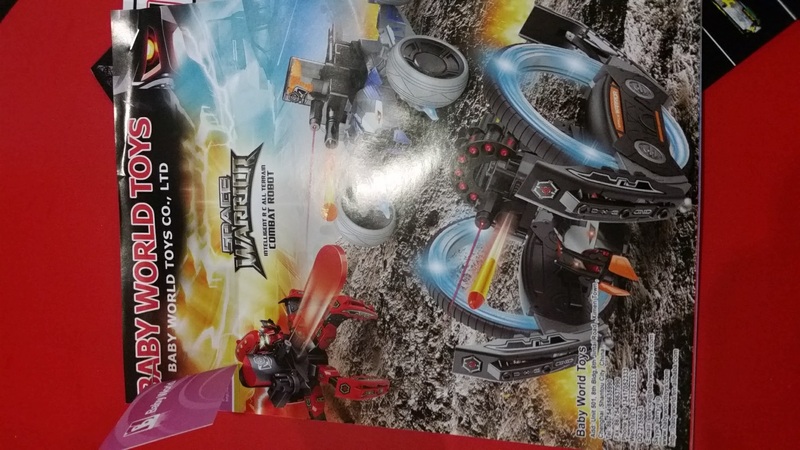 Instead, I found Baby World Toys doing more than copying the “Wow! Stuff” Combat Creatures Attacknids. The company had put its own spin on the concept with wheeled variants, including one that imitates the Hailfire Droids from Star Wars. Everything looks good so far, right? 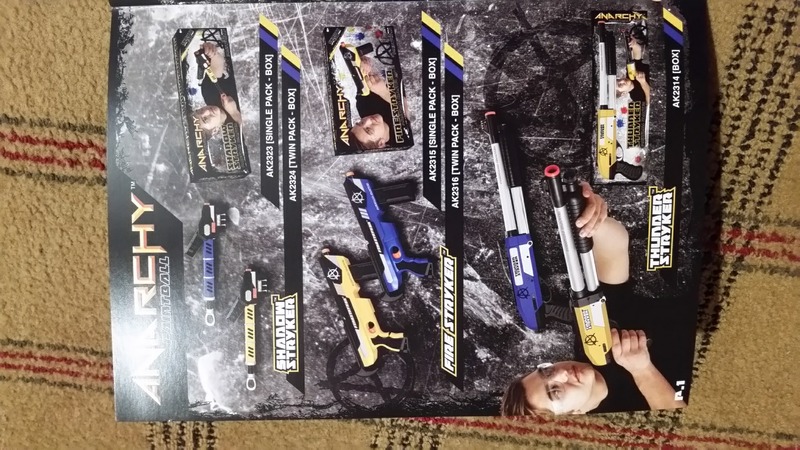 Let’s look at the pages describing the R/C blasters…and there we might have a problem. There’s a good rule for doing any sort of translation work. Have a speaker of the target language look over it to ensure that it makes sense. If you’re doing the quick solution and using Google Translate, take the new phrase and translate it back to see if you still get the same result. DOUBLE CHECK. 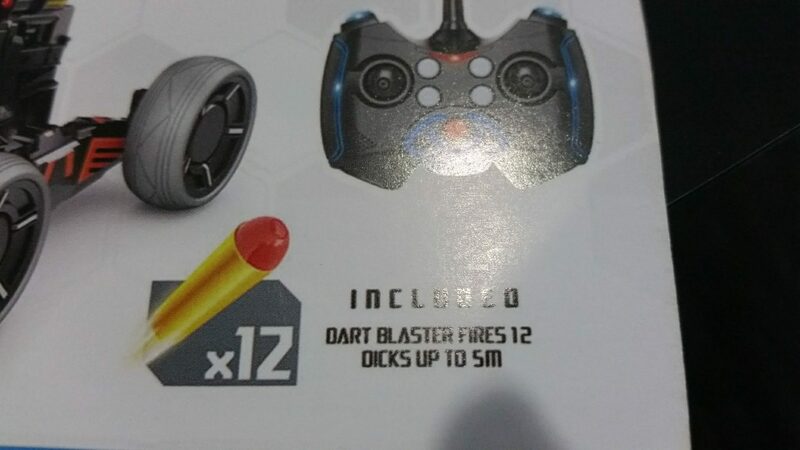 This mistake gets repeated for all the other blaster R/C units. Whoops! It’s not a blaster, I know. But I just had to mention it. 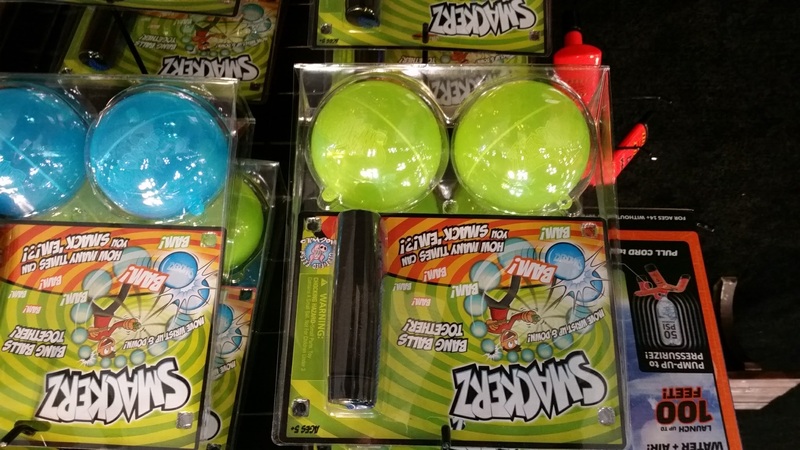 It’s from the same guys who make all the squeeze popper toys that launch foam balls 20′ or so. It’s not a new concept, but the branding is just…there are no words. I really hope they meant to do this. 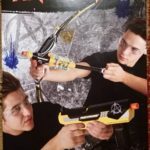 Ever miss seeing things like .50 cal paintball markers and gel ball blasters? Remember different products that have come and gone over the years, from bungee-powered rockets to gliders? Granted, not all of these items are actually going to be useful to the average blaster fan. 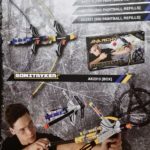 But the fact remains that Nerf darts are also .50 cal, which means converting blasters to fire darts is relatively easy. 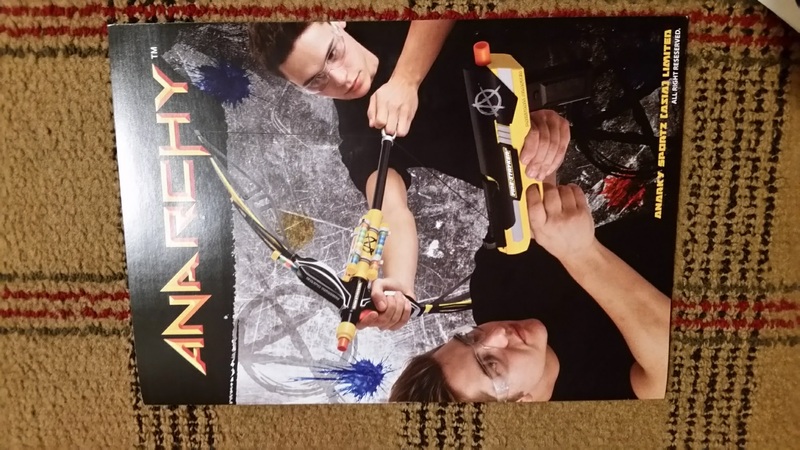 A few years ago, when ToysRUs still had the Air Zone line, they had several paintball bows and pull/release markers of this size. I believe they were the “Stryker” series, manufactured by Out of Bounds Group Ltd. Before that, many of the same blasters were made by Tech Group as part of the Supasplat series, along with such classics as the Pistol Splat. Even fifteen years ago, designs like the paintball shotgun were being produced. It seems that what’s old is new again. In any case, there are some items with potential. That shotgun was modified before when it was the Thundersplat. Several .50 cal spring-powered pistols are still used at Nerf wars, and there are a few here that might be acceptable. That should sum up most of Toy Fair. I hope you guys appreciated my posts and videos, and I hope to be there next year! 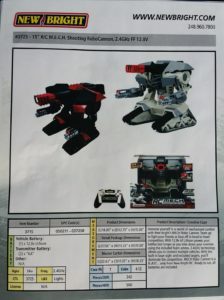 This entry was posted in Blaster Hub: Exclusive, News/Updates and tagged 2017, news, toy fair on February 26, 2017 by BuffdaddyNerf.